The mining will never end. Worried about getting your voxel fix when Windows 10 is released? Don't worry, Microsoft's already got it taken care of. 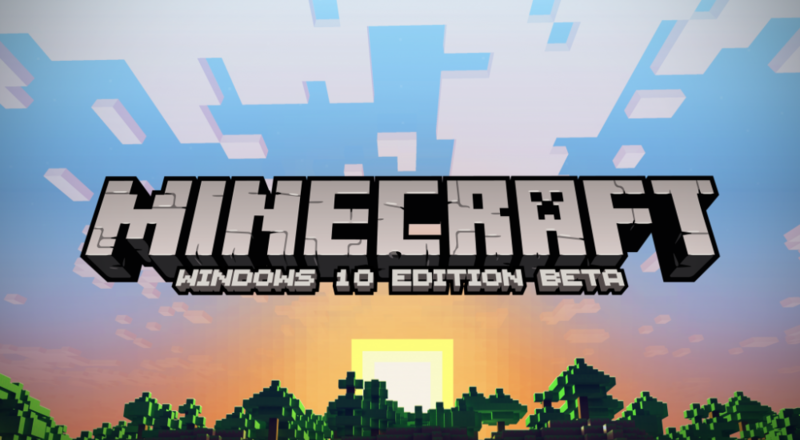 Minecraft: Windows 10 Edition has been announced for the upcoming OS, and the neat thing is it's free for owners of Minecraft on PC! Minecraft: Windows 10 Edition is a separate build from the current incarnation of the game, but that carries a few benefits. Online and local multiplayer with owners of Minecraft: Pocket Edition will be possible out of the box, as will controller, touch, and keyboard controls. Also, up to eight players can enjoy co-op play locally or via Xbox Live. That "via Xbox Live" bit is important. Microsoft is gradually merging its various platforms into one gigantic Windows property, so we'll likely see some of the console skin packs and DLC features introduced into the new PC Minecraft. Outside of the Windows-only realm, Mojang has announced a few upcoming features for Minecraft. Dual wielding will be a thing, and genetically superior left handers will be able to wield items in the character's left hand, the way nature intended. The End dimension is getting a revamp, too, featuring an End City location for you to run and jump around.